Following a rash of drunk driving accidents in Western Washington that left several people dead and others with serious injuries, Washington state lawmakers have come up with a proposed plan of action for further strengthening the state’s DUI laws and preventing tragedies like these from occurring in the future. 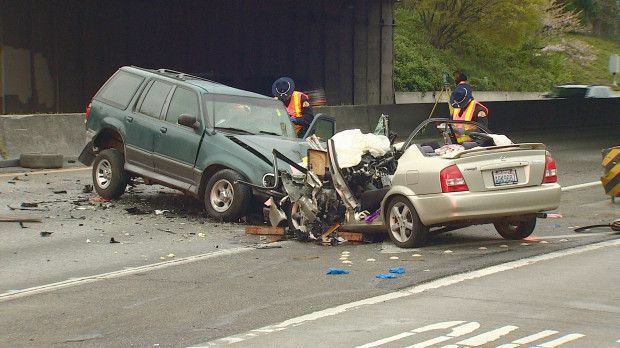 Governor Jay Inslee and a group of bipartisan lawmakers throughout the state recently began working together to come up with a plan to further strengthen the DUI laws in Washington after two fatal DUI accidents rocked the Seattle area last month. On Tuesday the group of lawmakers released their official proposal to combat drunk driving in the state, which included plans to lengthen sentences for DUI, streamline the formal charging process for those suspected of driving under the influence and even prevent third-time offenders from buying alcohol. Inslee says the proposal makes up “the most aggressive, the most effective, the most ambitious” approach to strengthening state DUI laws and deterring drunk driving as a whole. “We are here today because too many families in Washington state are losing their loved ones at the hands of impaired drivers,” he added. Currently, a person who is arrested for drunk driving may potentially not be formally charged for months after the initial arrest. There is also minimal enforcement and oversight of court orders for DUI offenders to install an ignition-interlock device on their vehicles. Inslee’s proposal reportedly includes a provision that would require people suspected of driving drunk to be immediately arrested and charged soon after their arrest. It would also require the offender’s vehicle to be equipped with an ignition-interlock device before being returned to the vehicle’s registered owner. Also included in the bill is a mandatory six-month minimum jail sentence for a person who is convicted for drunk driving on the second offense. The third offense would require a minimum jail sentence of one year, but offenders could participate in a round-the-clock alcohol monitoring program that would allow them to opt out of jail. The most controversial component of the proposal, however, is a possible 10-year ban on alcohol purchases for people who have been convicted of DUI three or more times. Washington state would be the first in the nation to enact such a strict law, though Alaska does have a similar law. There is a lot of controversy surrounding Inslee’s latest proposal, mainly because of how strict DUI laws would be if his proposal were accepted. But there’s no question that there are a large number of people who would be punished by the proposed laws. Between 1998 and 2012, there were more than 8,000 people who received three or more DUI convictions in Washington state. Law enforcement experts contend that there are nearly 38,000 DUI arrests annually in Washington state. And although the idea of outfitting each and every one of those vehicles with an ignition-interlock device before returning it to the owner is an appealing one, tens of thousands of offenders make that an expensive project. What are your thoughts about the current state of Washington’s DUI laws and Inslee’s proposal to further strengthen them? Share any concerns or ideas for better improving the laws in the comment box below.